There are certain things you never imagine yourself saying. 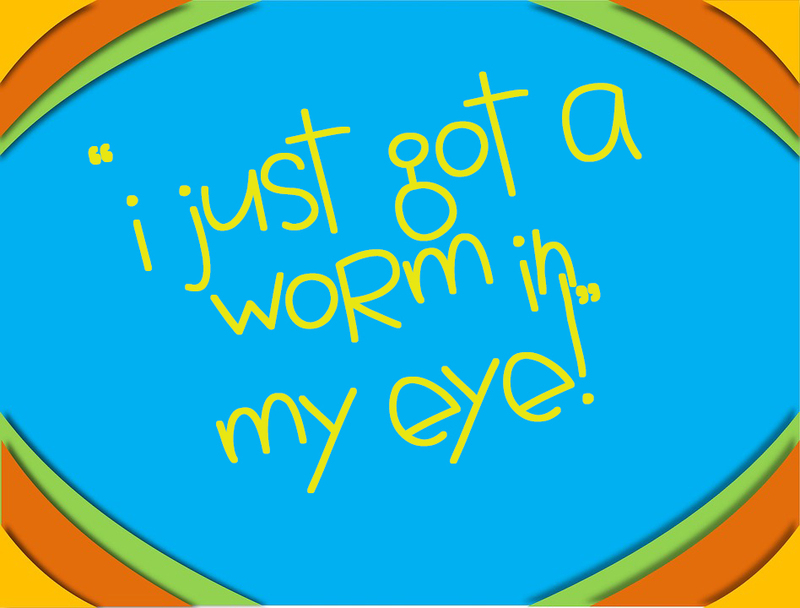 “I just got a worm in my eye!” is one of them. And yet I did say it. Screamed it actually. The family was all here and we were cranking homemade ice cream outside when I saw a worm nearby. I asked a six-year-old grandson, lover of all things creepy and crawly, to come remove the worm. Delighted at the request, he picked up the worm, studied it briefly and then gleefully threw it into the air. In hindsight, which is always 20/20 – unless you have a worm in your eye—I should have said, “take it to the trash,” “toss it into the grass,” or “throw it toward the equator.” But instead, I simply asked him to get rid of it, which is what he did by launching it into space. Unfortunately, once airborne, the worm arced and fell back to earth, landing on my left cheek bone snuggling against my lower eyelid. That’s when the screaming started. And the jumping up and down. You know how they say when you encounter a small creature, that the small creature is just as afraid of you as you are of it? They lie. The worm demonstrated no fear whatsoever. I, however, am still hyperventilating, and the worm landing was several days ago. 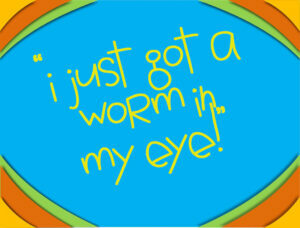 The important thing in all this (next to the worm being disposed of) is that a little boy said he was sorry. I’d just been reading a book that makes a correlation between adults doing the slow and hard work of instilling manners in children and greater levels of civility in society. Table manners, language manners and even manners in dress all reflect levels of self-restraint and self-control. Having a measure of self-control limits what we say and how we behave, making many of us appear a good deal better than we really are. Good manners also have the potential to make mealtime a pleasant experience. Even with small children. Eventually. Be patient—another mark of civility. All of our grandchildren, except for the ones that can’t yet talk, ask to be excused before leaving the table. It is a sign of respect to others at the table and a sign of respect for the meal itself. It’s also more pleasant than pushing one’s chair back and bolting for the backyard. Those tall enough, and even those not tall enough, also take their dishes to the sink. Surprisingly, we’re only out one small plate and a drinking glass, a small price to pay for teaching manners. Manners are what civilize us— around our tables, in our families, homes and our communities. Manners are what allow the many diverse parts to function as a whole. So when a little boy has the courage to apologize to a grandma who is screaming and jumping up and down, let it be noted that in one corner of the world we are still inching toward civility – one worm at a time.